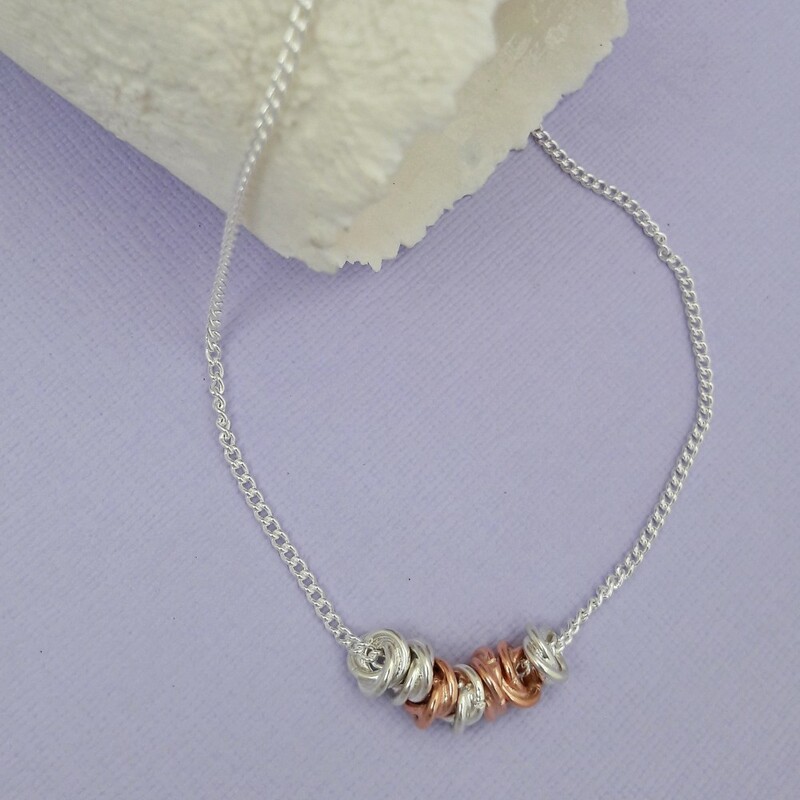 Elegant and understated for everyday wear yet still striking enough for more formal occasions, our unique Sterling Silver and Rose Gold Intertwined Rings Necklace will be a piece that you will find yourself reaching for again and again. 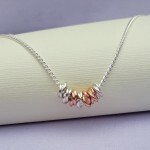 The seven intertwined rings on this necklace, each one comprising of two rings interlocked together, hold a multitude of different meanings. The rings could symbolise two people forever joined together, never ending love, love and eternity, love and affection for a child. But whatever they symbolise for you this necklace is just made to be worn. 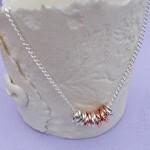 The seven rings in sterling silver and rose gold vermeil are asymmetrically strung and move freely on a tight linked sterling silver curb chain. 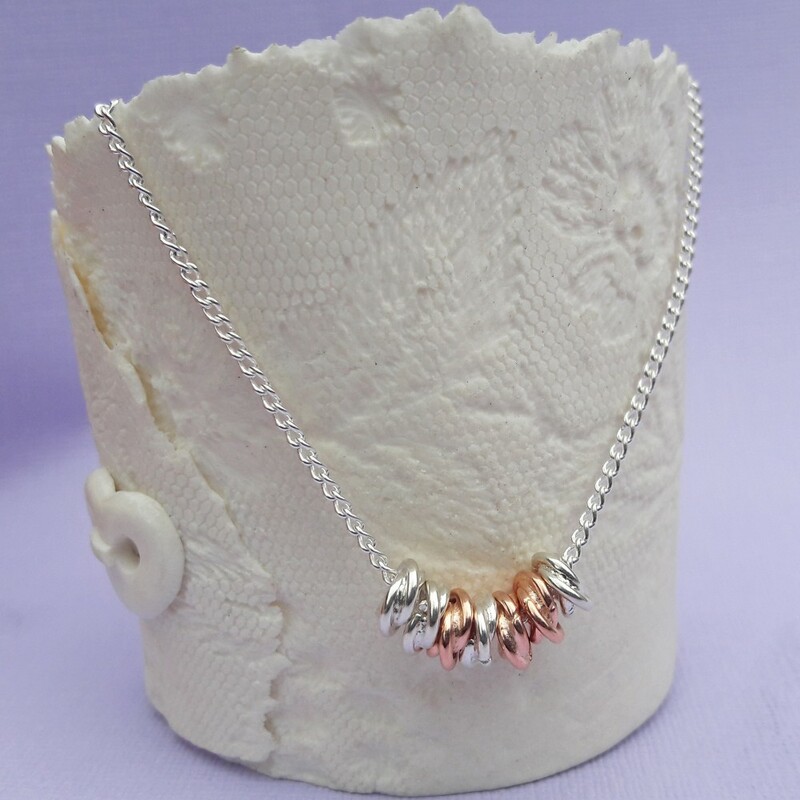 This necklace is also available in all sterling silver, sterling silver with blackened silver rings and sterling silver with yellow gold vermeil rings. 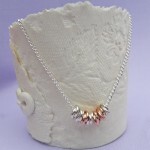 Co-ordinating earrings are also available. 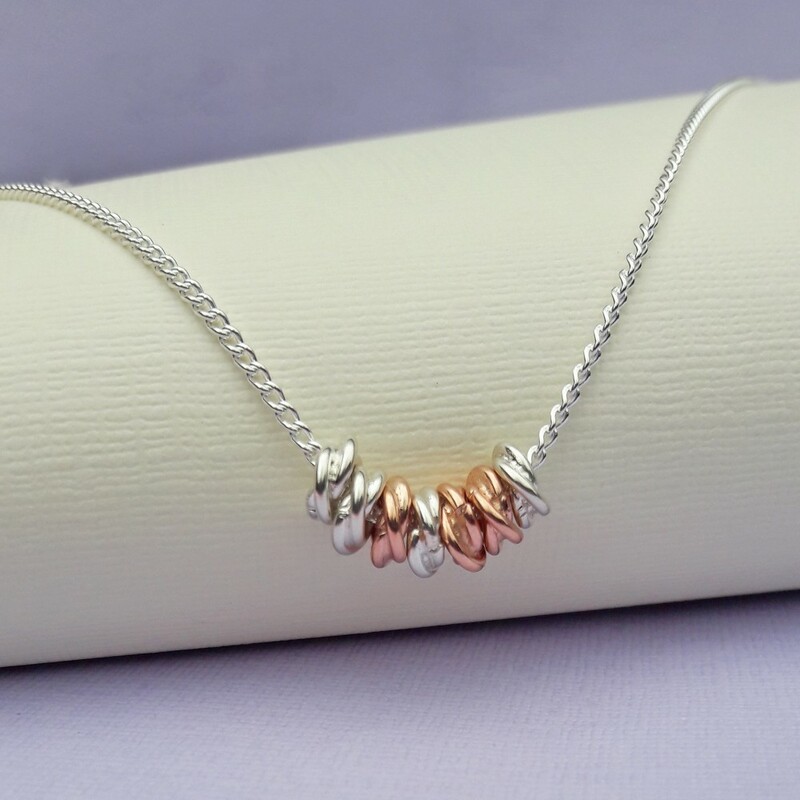 This Silver and Rose Gold Intertwined Rings Necklace will be handmade in the UK especially for you and beautifully gift wrapped at an extra charge in tissue paper and presented in an IndiviJewels gift bag. 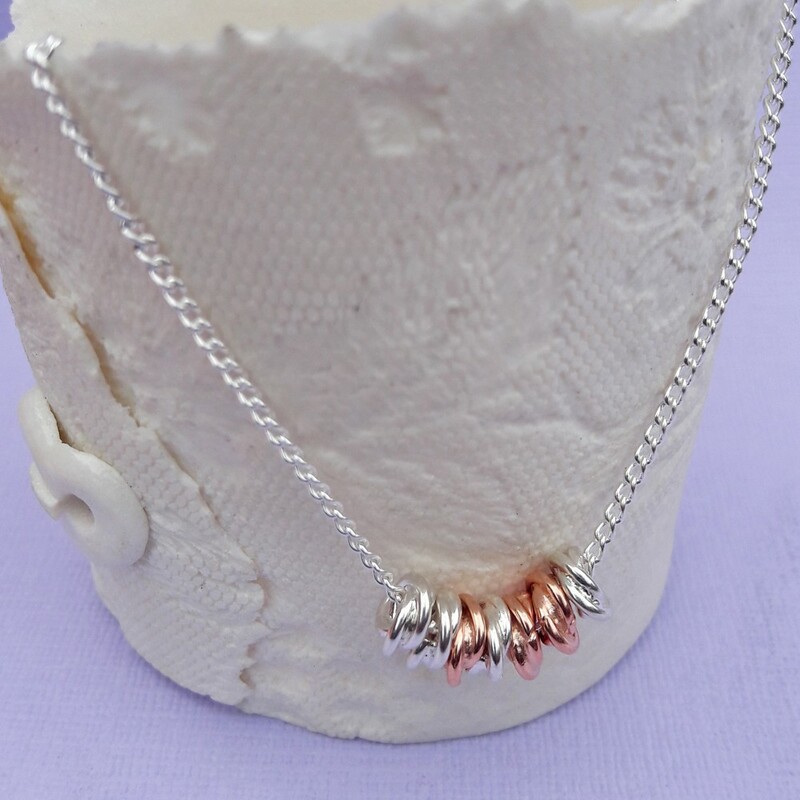 The rings measure approximately 6mm in diameter and the silver chain is available in a variety of lengths to suit all individuals.